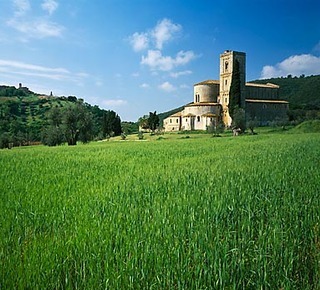 Walk and enjoy the amazing nature of the Orcia Valley, UNESCO World Heritage. More or 200 Km itineraries for walking or biking along panoramic paths with breathtaking views. 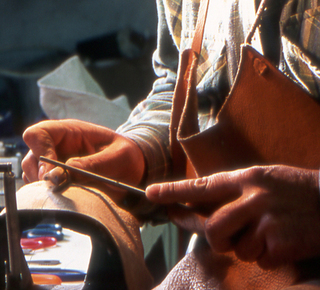 Hand made leather crafts at "La Dolce Vita" in Buonconvento. All products are made entirely by hand according to the Tuscan leather processing tradition and all materials are hand selected from the best Italian tanneries. 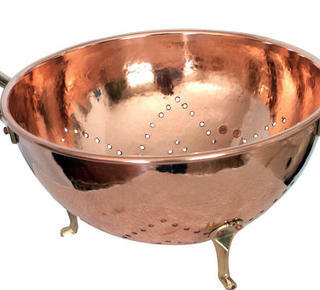 One of the few craftsmen who still produces handmade beautiful items made of copper. The real works of art can be purchased from the "Renowned Rameria Mazzetti" which exports all over the world. To create unique and delicious dishes. 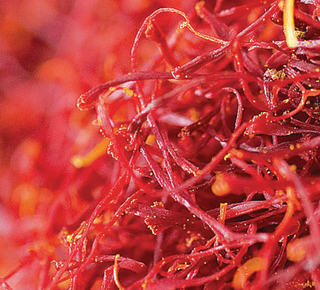 Saffron, special and precious ingredient can be purchased at the company Crocus Brandi in San Quirico d'Orcia, which cultivates it in the unspoilt Val d'Orcia, in Tuscany. In San Quirico d'Orcia at Duemme Knitwear you can buy at the best price cashmere knitwear made by hand. 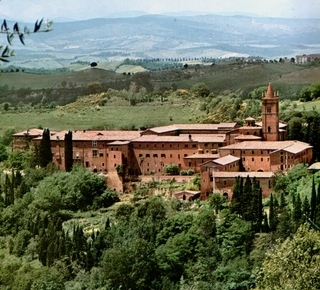 Lovely abbey of Benedictine monks in the heart of nature. Worth a visit for its magnificent location for both the magnificent frescoes. 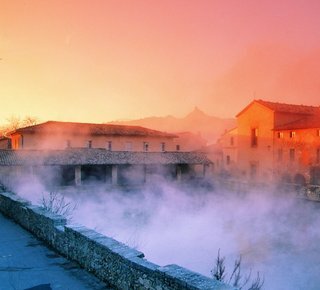 Bagno Vignoni and its thousand year old thermal tradition. Apart from its enchanting scenery Bagno Vignoni is also an ideal location for a thermal bath - for pure pleasure or for medical reasons. 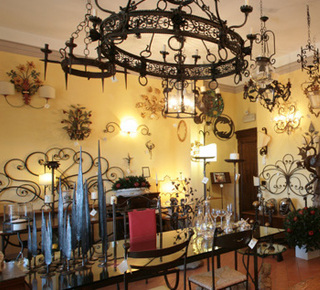 The real works of art in wrought iron you can buy at the craftsman Biagiotti in Pienza. Decorative objects, chandeliers, candlesticks and the possibility to order custom made items. 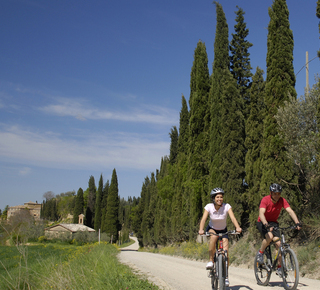 The Orcia Valley (Tuscany) there is a wonderful network of trails for hiking and mountain biking. Over 200 km of nature trails with breathtaking views, possibility to download the GPS data for the navigator of the bicycle. 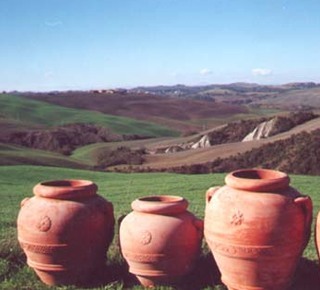 The typical Tuscan terracotta purchased directly from the manufacturer. Garden pots, bowls, decorations and articles for custom tailored. Especially beautiful and original! At about 10 kilometers from Montalcino, a romantic Benedictine abbey where you can watch the masses with Gregorian chants of the monks. Enjoy delicious wines and fresh olive oli directly from the producer and a snack pause with typical products of Tuscany. 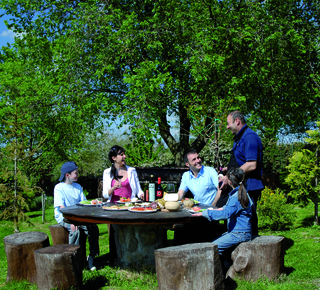 Discover the delicious recipes of Tuscan cooking by the chefs a relaxed and unique scenery. At the end of the cooking session you can taste the dishes prepared together!